Hello folks. Another day and another cafetière broken, the third one in as many months. 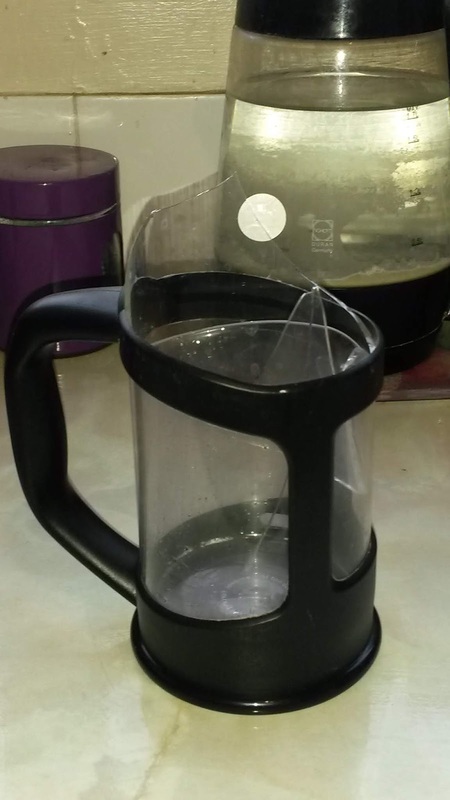 This is either divine intervention suggesting I give up caffeine or I really am just a clumsy oaf. My money is very much on the latter! I shall be buying an all metal cafetière as I can only dent that. It has been busy since the last entry with a lot happening at work and not enough hours in the day to deal with the various crises that have happened. I am also preparing for a promotion interview as it doesn't seem to matter what band I am in because we appear to be doing the same amount of work with similar pressures and demands made on us. For me it is a win-win situation: if I pass the interview I will be promoted with extra money but if I don't, I am happy enough with what I am doing and I can start to stick more strictly to my pay scale. I am happy to remain where I am for the next few years until I do retire. Funnily enough, having had the company of a young student for a couple of days I was reminded that I am an old bugger. Not only am I old enough to be her father, I am just about old enough to be her grandfather! As an aside, aren't youngsters annoying with their attachment to and continual fiddling about with their mobiles? I am once again back on track with model building. The above model had been put aside for the last three weeks as I focused on work and sleep. Each evening this past week there has been a Harry Potter movie on TV and I have slumped back in my chair, drank tea and lost myself in the fantasy of witches, wizards and magic. But this weekend, walking and modelling has been my escape from work and for relaxation. I am taking my time with this build (Panzer IV/70 (A) and enjoying a leisurely approach to it. Otherwise, the bench has now been tidied up for today and tea, some reading up stuff for the interview and then I'll be listening to more Big Foot stories on the internet. The latter is fascinating for me because some of these stories are complete fantasy / nonsense but others do make me question WTF? There are people who report sightings here in the UK and I think where on earth does something that big hide away. What on earth does it live on as we really don't have herds of deer in the wild and why is the evidence always blurry, grainy and shaky photographs or videos? Hmmm...I guess many people including myself have a need for magic and the unknown in our mundane lives! I wonder if there are any Big Foot model kits out there? There really are herds of wild deer - lots of them - around here! And as for, "As an aside, aren't youngsters annoying with their attachment to and continual fiddling about with their mobiles?" well, yes, but it's not just youngsters IME! Some of my 70s and 80s crafty ladies are just as annoying (maybe more so as they insist of showing you everything they think even a bit amsusing, and it never is) as the teenagers! Good luck with the promotion. You might as well get paid properly (well, as 'properly' as the NHS can provide currently) for the job you are doing... and it will mean more pension eventually too, if you are still on final salary.